long, cut at the waist by a belt. 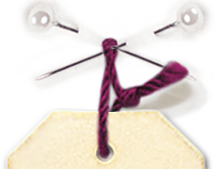 The front and back include a yoke, the neck edge is lined with a bias. The sleeves are wide and contained in a wrist. Itis buttoned on the front to the waist. A large interior pocket comes from a slot on the right front of the skirt. The traditional dress is worn with an apron. long, gathered and taken to the waist in a belt. 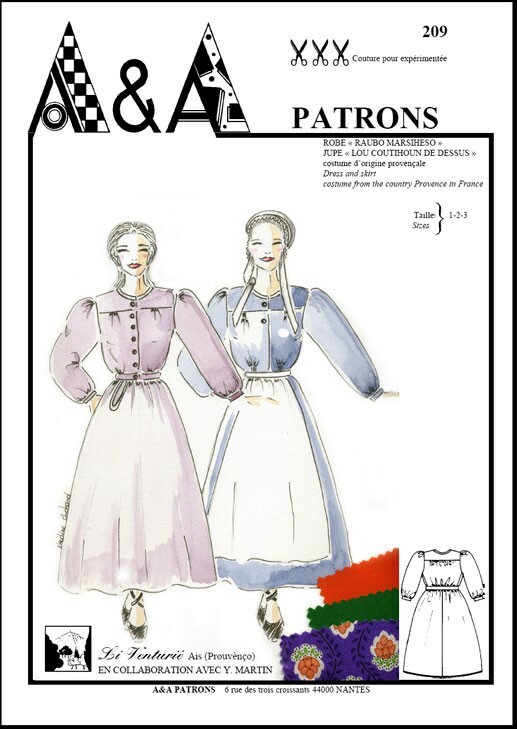 This pattern is both for women who want to make a traditional Provencal costume but also to those who want a contemporary dress or skirt inspired by a regional model. iced percales indiennes with flowers, linens and light patterned cotton cloth, regular striped fabrics adorned with flowers, plain fabrics: red, purple, old gold, dark green, brown etc. ... The lining of the traditional model is a plain-color cotton which matches, it also serves to make the false bottom hem. For contemporary style, you can tuck the bottom of the dress with corded bias in a contrasting color.